It's as we were adding the tags to this post that we realized something weird - this is the first time Dan Izzo has formally appeared on the CCPS in terms of being on a recording. Sure, he was an early supporter of this site with sharing a box of tapes with us, but, uh, it's weird that he hasn't put out any tapes yet. So weird. In fact, Dan may have asked us in his usual excited manner (ie his usual VERY excited manner) if we were going to put this tape on this site when we bought it from him last weekend. Well, duh. This is what we do. We buy the tapes, we listen to them, we put them on this site. 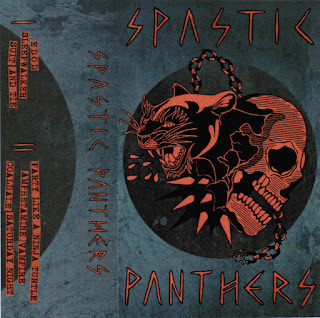 Anyways, if you're familiar with the Spastic Panthers, you won't be surprised by this tape. 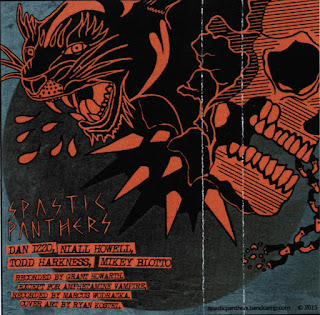 It's a nice contrast to the Weir tape we just posted: the songs are short and fast, probably because (as we noted at Tubby Dog last weekend) most kids who are in the mosh pit at Spastic Panthers shows don't have the stamina to last more than a minute and a half. 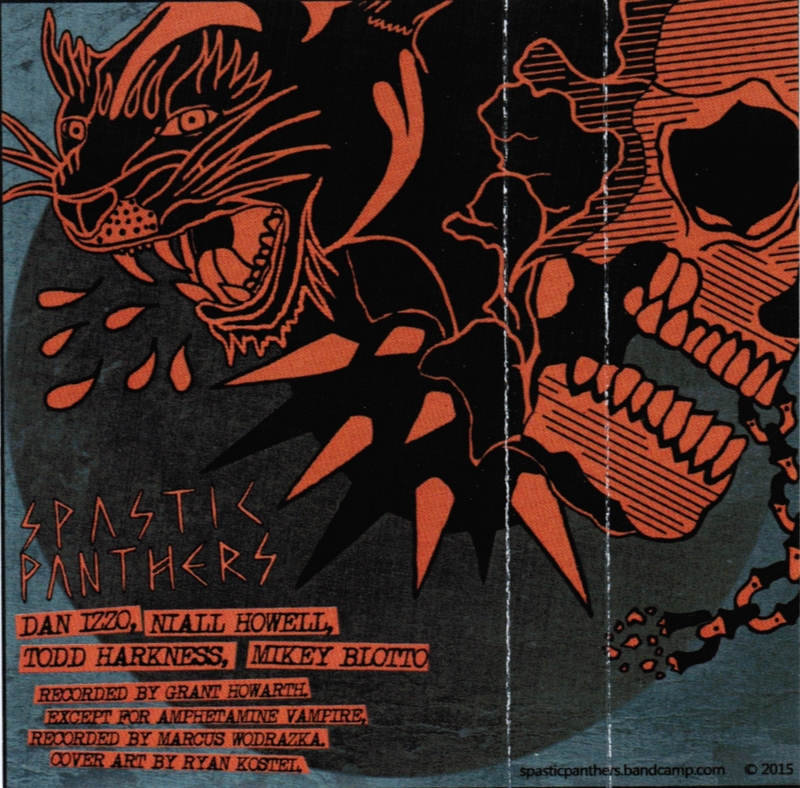 The high points on this tape is "Party Like a Ninja Turtle," a track even we at the CCPS can enjoy, even though we're a bit too old to ever have fully got into this TMNT thing, and "Amphetamine Vampire," which is classic, frantic Dan Izzo. And "Coaldale Saturday Night" is a sad, desperate view of punk rock in a small town that - we hope - Stompin' Tom would be proud of. Heck, we're just happy that we finally have Dan Izzo on tape. The band claims that last weekend's show at Tubby Dog was their last ever Calgary show. We assume this means the band is kaput - either that or they're moving to Japan. 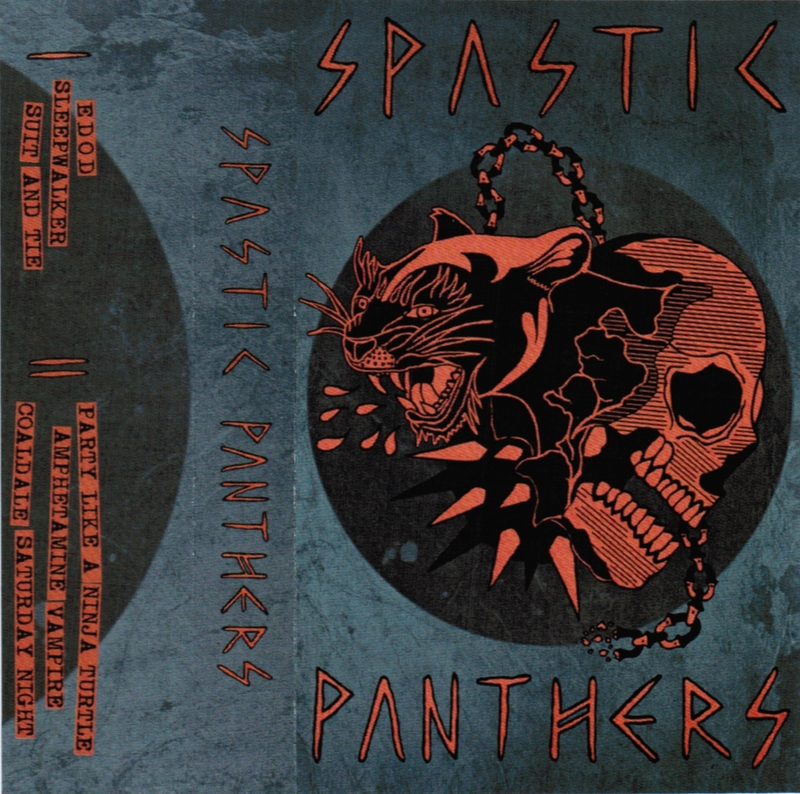 Either way, do the right thing and get this tape via the Spastic Panthers bandcamp.